Only on show for behaviour. Had been following this Doe and although she knows I'm around, she wasn't too uncomfortable and just had to have that spring scratch. Left full frame as for me use of space adds context. Storm coming in and less than 10 minutes later, packed up due to heavy rain. Techs. D850. Sigma 150-600 Sport at 600. 1/200 F8 monopod. Iso 1250. Chose a mono that day for portability but in hindsight, I prefer a tripod. Please feel free to click on the image to view uncompressed. PS... The D800 has been a joy, but the D850 takes images to other places.. Terrific behavioral shot, Dave! Good exposure and lovely natural habitat. Well seen and captured. Love it Dave- such a fun photo and amazing detail. Glad you're enjoying the D850! Like the behavior shot. It reminds us that animals have "real lives" and just aren't there to pose for us. Excellent behavior shot. Quite an excellent camera/lens combo. David, great choice to leave full frame, I feel like I'm right there, observing this natural behavior. Love how the trunk is cupping your subject and leads the eye in a circular motion, with the tree line BG and the dried foliage foreground. As per your usual, a different and very effective presentation! Yes, John, nice combo. That Sigma works well on the D500, D800 and D850. As EJ would say, good calibration is needed. I'd add, shoot a tad stopped down at F8 and use support whenever you can. From my files, it's as sharp as my Nikkor 70-200 2.8 II across the range. Probably only areas I'd want some other lens on the D850 etc, would be BIF as the aperture limits light and that this type of lens isn't expected to be sharp in the corners such as the 180-400 so vertical shots where sharpness at the top/head of a subject might not be as strong as normal. Just about knowing the limitations. The edges on this image were fine. (as in quite acceptable at 100% and easily so for web use). I love the inclusion of the habitat- I feel as though I'm there watching this. 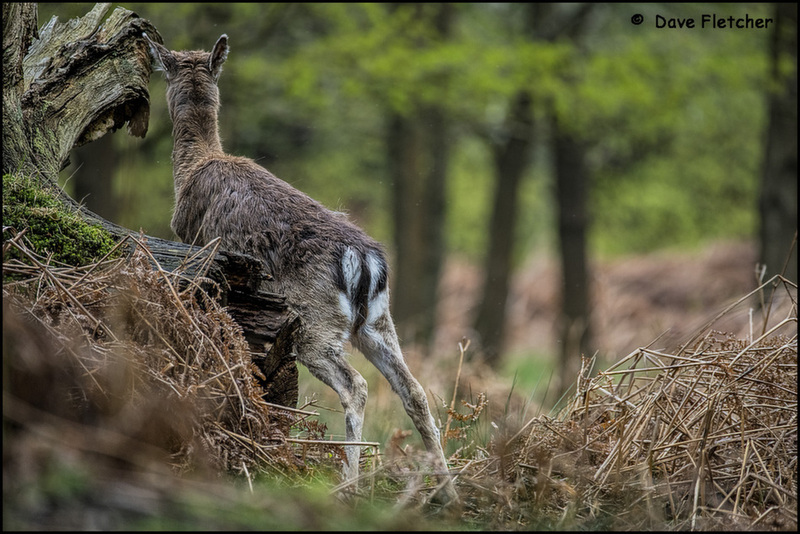 The composition is well done, my eye travels to the background but then is pulled right back to the doe. I love shots like this, its more an unobtrusive peep into their world, rather than getting them to pose nicely with eye contact and full frontal view. Beautifully composed, taken and presented with perfect use of the different elements you included in the frame. Nicely done David, excellent behavior and detail.